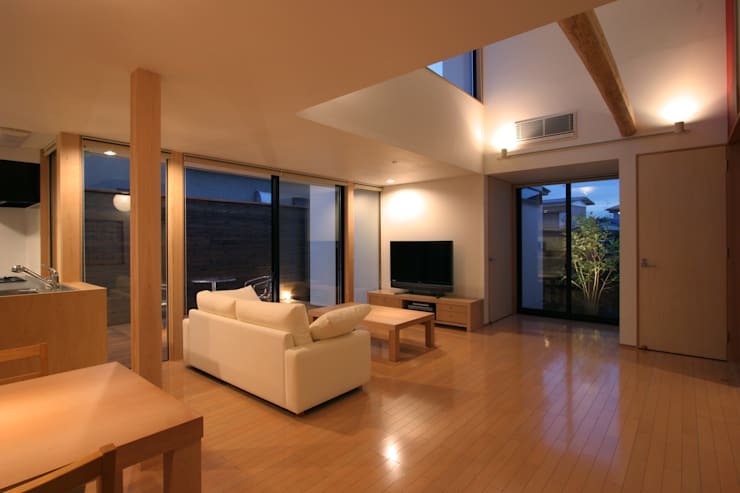 Today on homify 360°, we travel to Yokohama, a Japanese city south of Tokyo, to discover a modern home which likes to keep it interesting by combining Asian and Western designs. 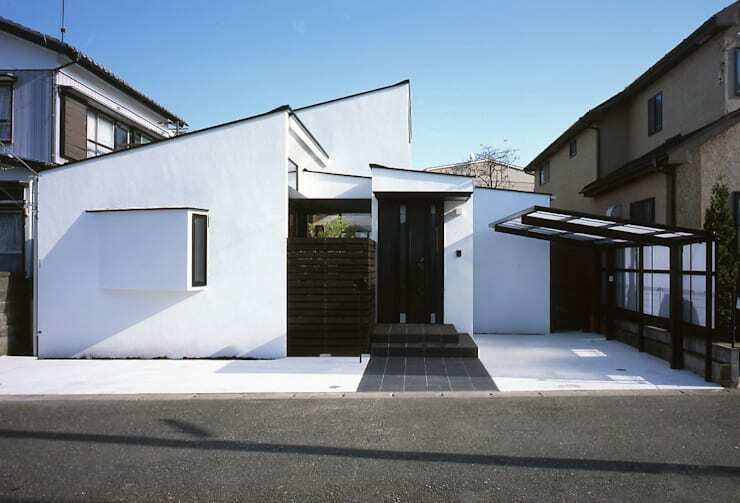 For example, the exterior façade could basically pass for a modern (if still modest) structure in just about any Western residential neighbourhood, yet the interiors seem to combine the best of both worlds. However, the end result is not a confused space, but rather one which seems clean, tranquil and stylish – less is more, as they say. The asking price for this particular dwelling, if calculated in South African rands, would equal approximately R1,782,000. Flaunting a small size with a striking look, the top windows all face towards the east, meaning a warm dose of sun to stream indoors every morning. Even from this image, it is clear that this house’s modern design sets it worlds apart from the surrounding structures – their conventional windows do a rather poor job of optimising the incoming sunshine. Inside, the designers remind us (in a beautiful way) that staircases can also be interesting décor pieces, and not just means to get from one floor to another. To highlight this fact, these stairs have received a crisp-white coating on the side, with soft oak edging on the steps, and a dark feature wall to make both the timber and the white hues pop. Wooden beams traverse the high foyer space at uneven heights, allowing us to imagine what it must look like once strings of white lights are hung up to inject some sparkle into the interiors. The colour palette takes a much lighter turn in the bathroom, where crisp-white tiles adorn the floors and walls, made even brighter by natural light seeping in via the windows. 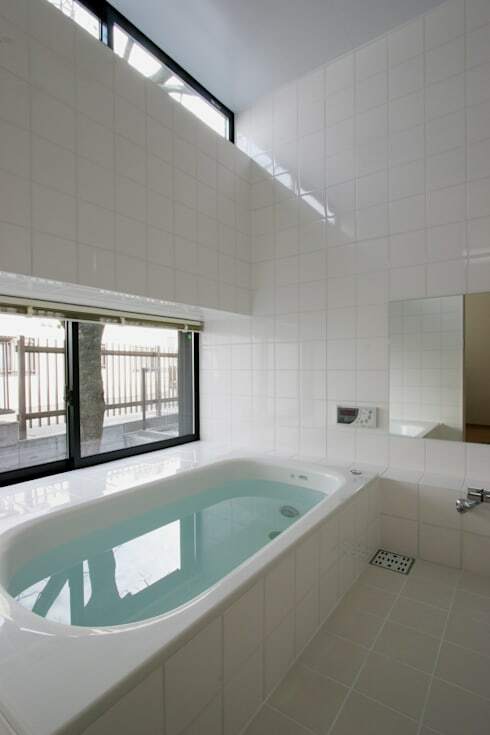 Aside from a simple wall mirror, no frills were added to this bathroom, ensuring a clean and fresh atmosphere – sort of mimicking the sensation one feels after a relaxing bath! The night-time view of this central living room shows off the wisely placed lighting and the great expanse of the windows. However, quite a lot of glass doors were also added, ensuring not only an abundance of natural light, but also lots of garden views that can be enjoyed from indoors. Just like the bathroom, this living area is without showiness, doing just fine from the natural style of the soft wood accenting from the floors, furniture and support beams. It needs to be mentioned that air flow is another important factor in this house: due to its split-layered design, many windows and sophisticated air filtration system, it makes it much easier for air to flow inside and back out again, resulting in a positive effect on the interior air quality and, thus, the house’s overall atmosphere. The last room we’re looking at really brings some Asian flavour to this home – it’s the tatami space, which is a type of mat used as a flooring material in traditional Japanese-style rooms. 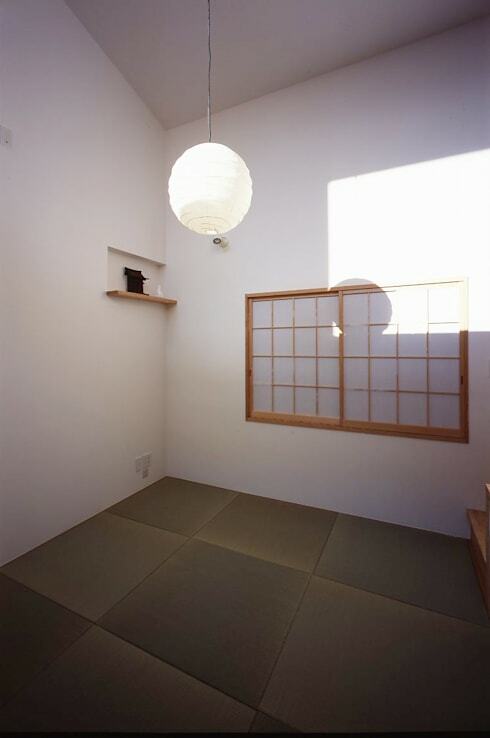 The function of this room is for rest and recuperation, meditation or even enjoying tea with guests. Quite the fascinating feature, considering that the majority of the house has been furnished with Western furniture. 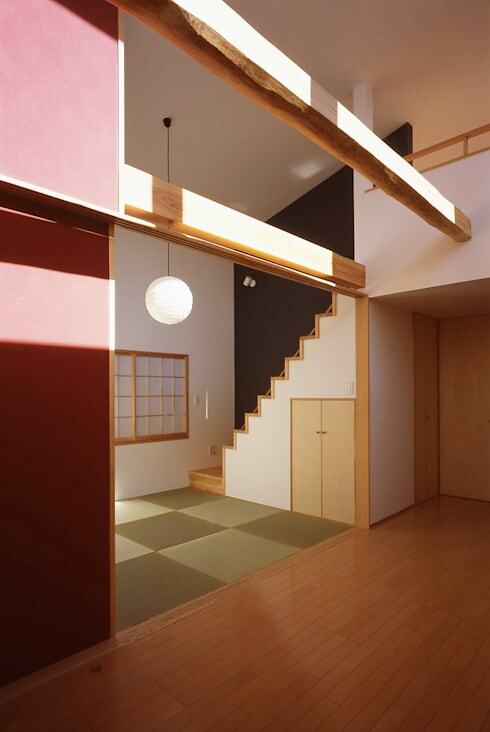 In the spirit of Asian architecture, let’s have a look at The House Of Whites And Woods. Would you consider this structure for your home?